As Uber has surged in popularity — expanding operations in the U.S. and abroad, and recently hiring 50,000 military veterans as drivers — backlash against the taxi-alternative service has grown. Now the company is adding a federal investigation for sketchy lending practices on its pile of recent controversies. First reported by Gawker’s ValleyWag, the U.S. Department of Justice (DOJ) is investigating Uber’s auto-loan program, which sets up drivers to borrow money they might not be able to pay back. The company’s promotional video advertises its lending program, telling prospective drivers “even if you have bad credit or no credit at all, we can help you get behind the wheel in a week.”While Uber doesn’t directly lend drivers money, the company links drivers with lenders including General Motors and Santander USA. Those lenders then lock drivers into subprime loans to be repaid through paycheck deductions. Subprime loans are high-risk loans with steep repayment terms — and were the chief cause of the 2008 financial crisis. The DOJ already issued subpoenas to General Motors’ GM Financial and Santander in relation to the questionable lending practices. 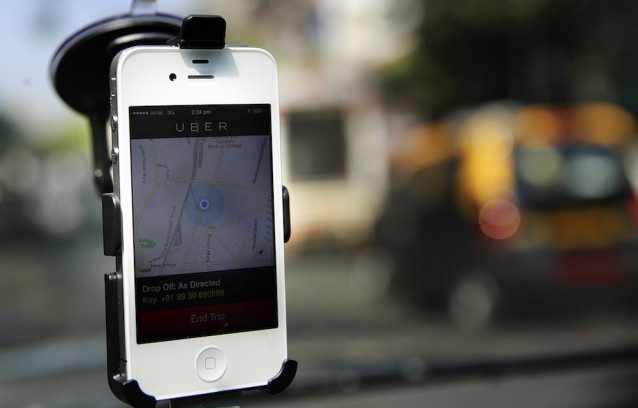 Uber responded to the accusations, saying the company “provides drivers with discounts on cars as well as access to financing that may not otherwise be available to them,” CNNMoney reported. Uber has been at the center of several controversies, facing criticism from city taxi drivers and from its own drivers. Uber drivers have staged numerous protests, calling attention to the company’s unfair wages and labor agreements. Drivers in Los Angeles, New York and San Francisco protested Uber’s policies last month. Drivers complained that Uber’s price slashing and no-tip policy made it hard to earn a living. That concern could arguably be compounded by Uber’s subprime lending, since drivers’ paychecks are docked to repay the auto loan.